These risk factors for heart disease are being found at an earlier age than in the general population, according to research published in Cancer Epidemiology, Biomarkers & Prevention, a journal of the American Association for Cancer Research. 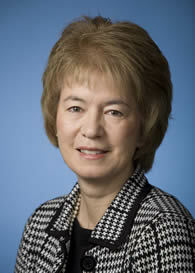 Lillian R. Meacham, MD, professor of pediatrics at Emory University and medical director of the Aflac Cancer Center of Children’s Healthcare of Atlanta Cancer Survivor Program, used data from the Childhood Cancer Survivor Study, which included 8,599 cancer survivors and 2,936 of their siblings. Meacham found that cancer survivors were nearly twice as likely as their siblings to take medication for high blood pressure, 60 percent more likely to take cholesterol medication and 70 percent more likely to have diabetes. Radiation treatment may be playing a role in the development of risk factors for cardiovascular disease, Meacham says. Total body irradiation was linked with a 5.5-fold increased risk and chest and abdomen radiation a 2.2-fold increased risk of cardiovascular risk factor clustering, which when present is associated with subsequent cardiovascular disease. “Mechanistically, we are not yet sure why this is, but the association is definitely there,” says Meacham. Researchers examined the presence of cardiovascular risk factors and found that physical inactivity among cancer survivors was linked with a 70 percent increased risk for cardiovascular risk factor clustering. Older age at the time of the study was linked to a 8.2-fold increased risk for cardiovascular risk factor clustering among survivors compared with children who had never had cancer.